"Must read for all MJ fans"
Great inspiring book that gives you a better insight into the genius he was. Must buy for any real fan – the only Michael Jackson book in his OWN words. Love it. Michael Jackson's one and only autobiography- the King of Pop in his own words. 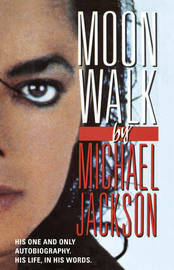 Moonwalk is the only book about his life that Michael Jackson ever wrote. It chronicles his humble beginnings in the Midwest, his early days with the Jackson 5, and his unprecedented solo success. Giving absolutely unrivalled insight into the King of Pop's life, it details his song writing process for hits like Beat It, Rock With You, Billie Jean, and We Are the World; describes how he developed his signature dance style, including the Moon Walk; and opens the door to his very private personal relationships with his family, including sister Janet, and stars like Diana Ross, Berry Gordy, Marlon Brando, Quincy Jones, Paul McCartney, and Brooke Shields. 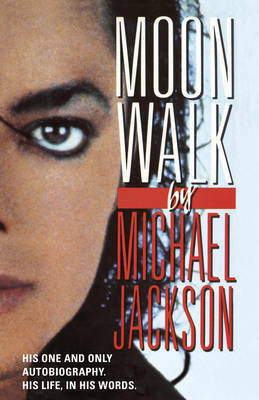 At the time of its original publication in 1988, MOONWALK broke the fiercely guarded barrier of silence that surrounded Michael Jackson. Candidly and courageously, Jackson talks openly about his wholly exceptional career and the crushing isolation of his fame, as well as the unfair rumours that have surrounded it. Moonwalk is illustrated with rare photographs from Jackson family albums and Michael's personal photographic archives, as well as a drawing done by Michael exclusively for the book. It reveals and celebrates, as no other book can, the life of this exceptional and beloved musician. Michael Joseph Jackson (August 29, 1958 - June 25, 2009), dubbed the 'King of Pop', was one of the most commercially successful entertainers of all time. After making his debut in 1964 as a member of The Jackson 5, he started a solo career in 1971. His 1982 album Thriller remains the best-selling album of all time. His other achievements feature multiple Guinness World Records - including the 'Most Successful Entertainer of All Time' - 13 Grammy Awards, 13 number one singles, and estimated sales of over 750 million records. Jackson died at the age of 50 on June 25, 2009, in Los Angeles, California after suffering from cardiac arrest. His memorial service was broadcast live around the world.